As we all know, one of the top causes of death in the world right now is Cancer. It is extremely tormenting and scary. While it is fatal and dreadful, there are some who had survived. I think a good way to show support for cancer is to create more awareness for it. 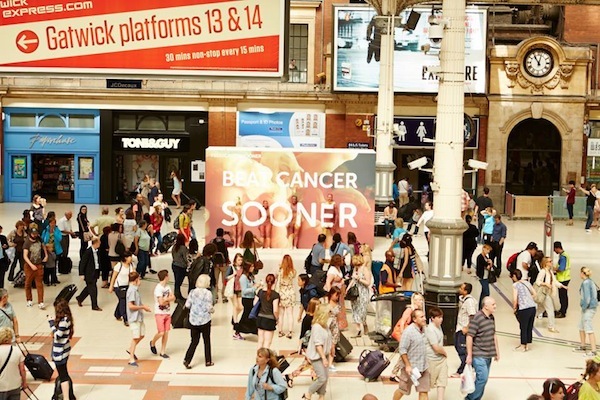 AMV BBDO launched an outdoor guerilla billboard featuring four cancer survivors – Anna, Parminder, Adam and Linda. These four brave souls used their bodies to blend with the background of the billboard. 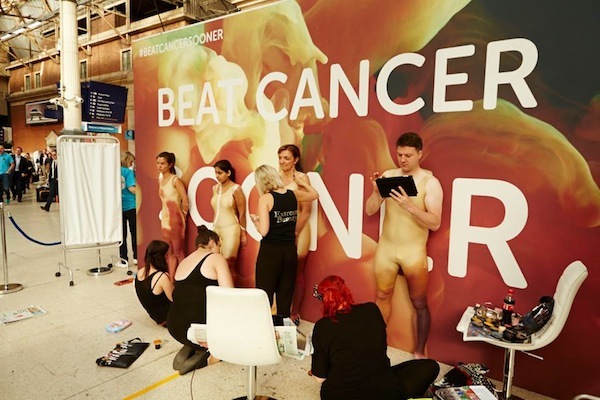 By painting their bodies with paint, they were able to blend with the sign behind them. 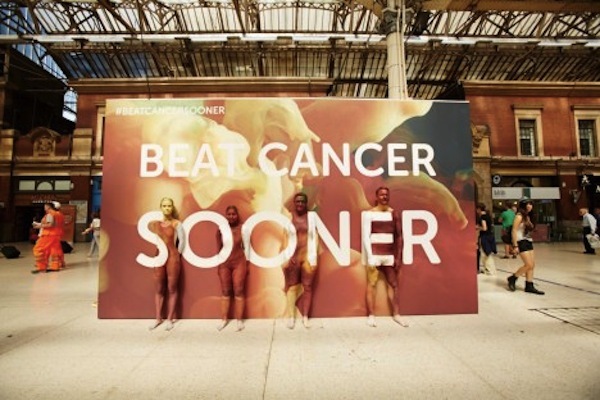 Thus, allowing commuters at London’s Victoria Station to witness this brave act of expression in an effort to create awareness for the Cancer Research in UK. To fight against cancer, one does not simply depend on will power alone, it is imperative that there is both social and financial support. 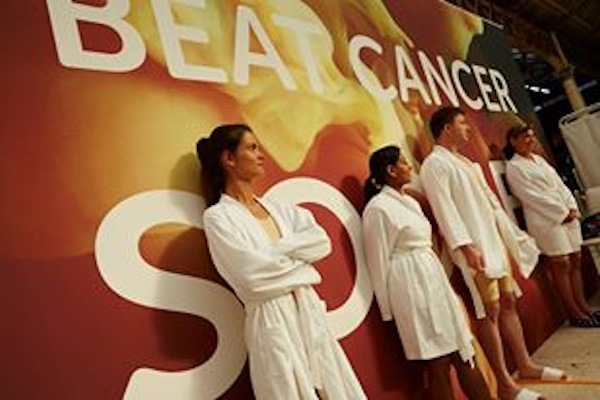 The headline, “Beat Cancer Sooner” reflects a lot on communicating the message across. I would say props to the four brave souls for shouting out to the public.